Samuel Garcia, A UNMH employee, donated his kidney to Matthew Aguilar. 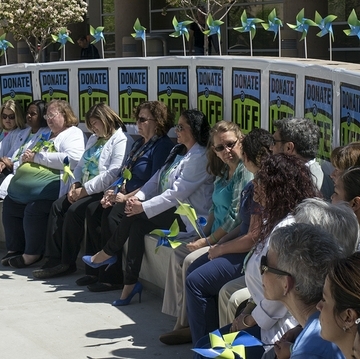 The University of New Mexico Hospital celebrated 93 lives saved by 36 organ donors at a recent ceremony. 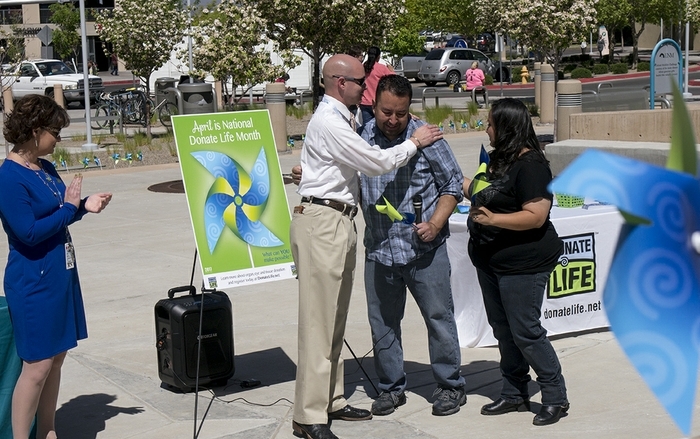 The event marked April’s National Organ Donor Awareness Month. 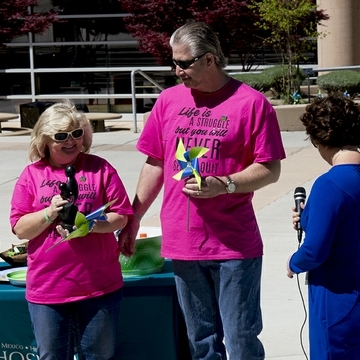 It was held at the hospital’s Barbara and Bill Richardson Pavilion courtyard. 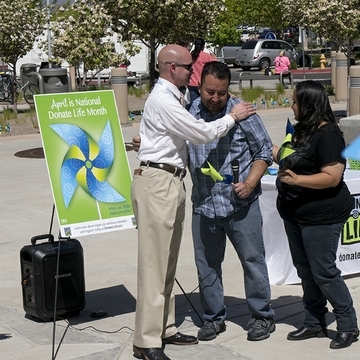 Ninety-three pinwheels – each symbolizing the power a person has to save lives through organ, eye and tissue donation – were displayed at the event. A donor family and a kidney recipient also shared their experiences. 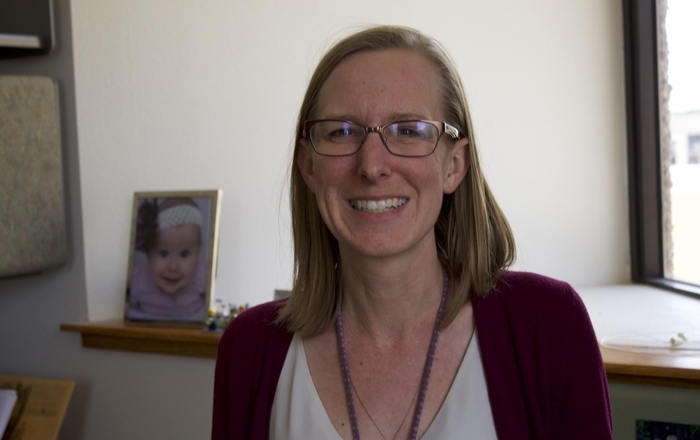 “It is so important to start the conversation with our family now about being a donor and share life,” says Joanna Saczek, RN, UNMH transplant services director. More than 700 New Mexicans are waiting for a transplant – and more than 460 of those on the list need a life-saving kidney or pancreas, according to the United Network for Organ Sharing. 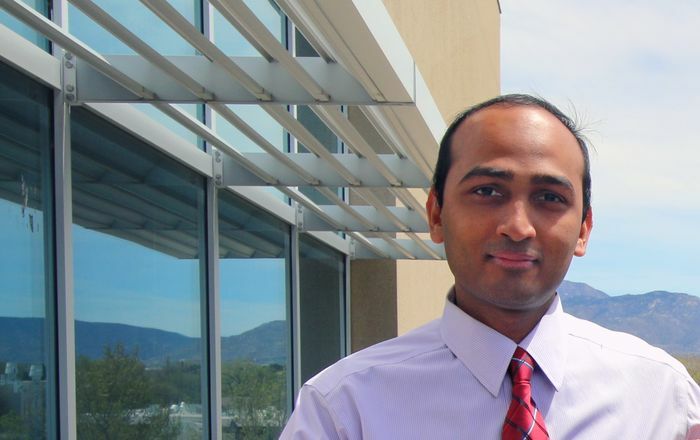 More than 245 patients are waiting for kidney transplants at UNMH, according to UNOS. Samuel Garcia, a living donor and UNMH employee, donated his kidney to Matthew Aguilar, who suffered from polycystic kidney disease. 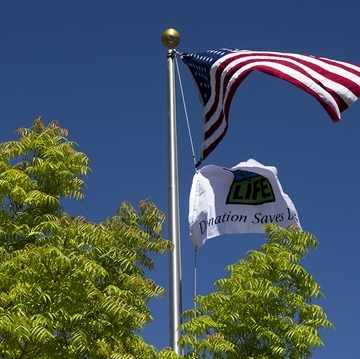 Twenty-two Americans die every day while awaiting an organ donation but one person could save eight lives through an organ, eye and tissue donation, according to Donate Life America. 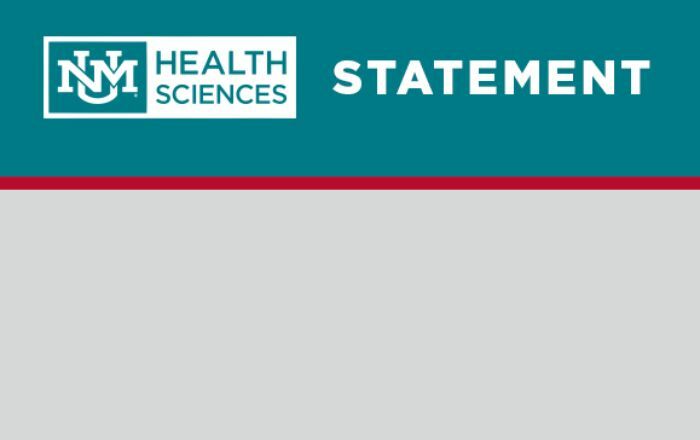 To learn more about the UNMH Transplant Clinic at UNMH call (505) 272-3100.